I consider my life and creative endeavor as composed of two main eras. The first one before knowing Mind Map system and the second one after learning about Mind Map system. And of course applying it in all my creative activities. In short: my personal prehistoric age and my personal supermodern age. 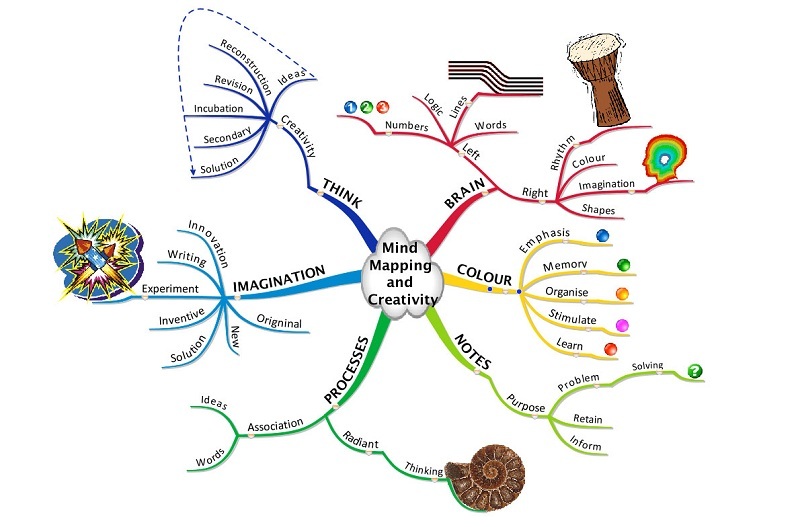 I consider learning about Tony Buzan’s Mind Mapping technique to be most essential and fundamental discovery of my life. It penetrates everything: my art and design production, study, business, planing, thinking. Why? Simply because it gives your creativity it’s true meaning. It gives it the power of the atom bomb. In your hands. Right now. Yes, the creativity. I have a friend. He is retired now and during last twenty years he kept repeating to me just one most important thing he considered to by more than divine. The creativity. I always agreed. But for a long time I did not really grasp the full content of the term. I got enlightened after I read the book or two written by Tony Buzan. Yes, now it got the perfect sense. And as I see – many others did. And you can do as well now. Let this article be an introduction to larger series of articles dealing with that phenomenon. Let it be an invitation to study and experiment with that system in your work and life. The immense scope of knowledge, content and possibilities are right here, waiting to be discovered and used.